(DRAEGER 4594944) Gasco Calibration Gas Cylinder with Carbon Monoxide (CO) 100 ppm, Pentane (C5H12) 30% LEL and Hydrogen Sulfide (H2S) 25 ppm. Balance Air. Available Sizes 34, 44, 58, 66 and 116 Liters. > REACTIVE MULTI MIXTURES > CARBON MONOXIDE + PENTANE + HYDROGEN SULFIDE : 3 Items found. 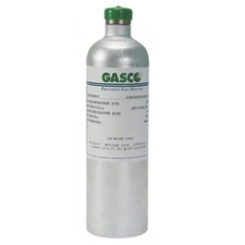 Gasco Calibration Gas Cylinder with Carbon Monoxide (CO) 100 ppm, Pentane (C5H12) 25% LEL and Hydrogen Sulfide (H2S) 40 ppm. Balance Air. Available Sizes 34, 44, 58, 66 and 116 Liters. Gasco Calibration Gas Cylinder with Carbon Monoxide (CO) 200 ppm, Pentane (C5H12) 25% LEL and Hydrogen Sulfide (H2S) 25 ppm. Balance Air. Available Sizes 34, 44, 58, 66 and 116 Liters. Gasco Calibration Gas Cylinder with Carbon Monoxide (CO) 100 ppm, Pentane (C5H12) 32% LEL and Hydrogen Sulfide (H2S) 25 ppm. Balance Air. Available Sizes 34, 44, 58, 66 and 116 Liters.